Original Brother toner is formulated to meet high quality resolution, grey scale and block colour, in line with Brother’s high design specification. Toner particle size, shape and colour pigmentation all have a direct impact on the sharpness of the printed image. 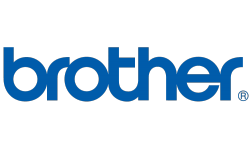 Brother's toner is formulated to exacting standards to ensure you receive high quality print resolution and reliability.